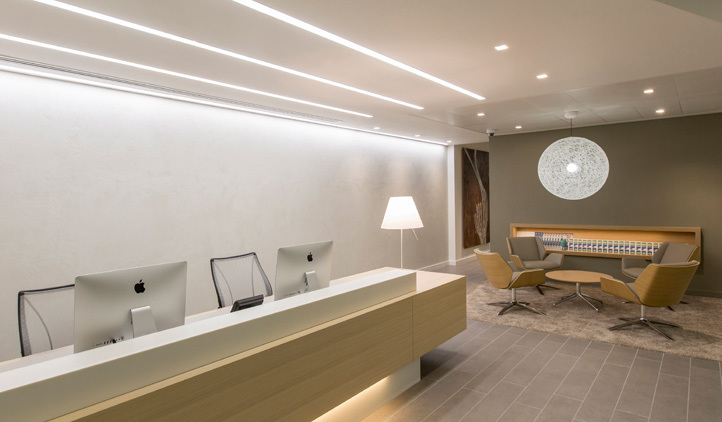 After completing the fit out of an office space in King William Street, we helped Caixa Geral de Depósitos relocate to Moor Place. 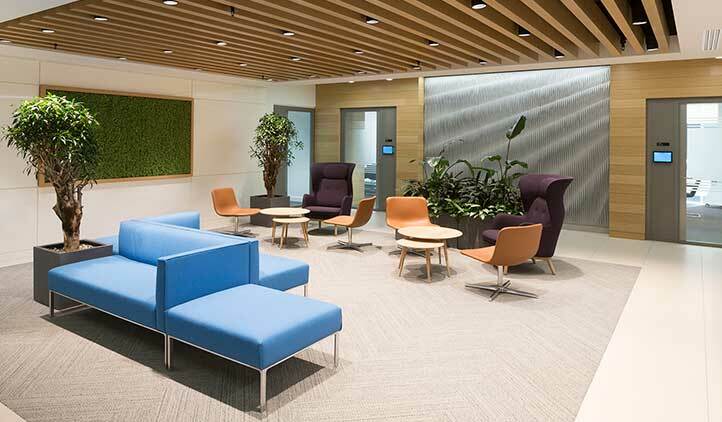 Our challenge was to create an egalitarian space that made everyone feel valued, while emphasising the brand’s simplicity, quality and monochromatic colours. The interiors also needed to provide a nod to the bank’s heritage as Portugal’s largest bank. We created bespoke joinery solutions that accented the meet and greet team and the corridor to the meeting suite. Audio-visual solutions were integrated into the design of the meeting rooms and enhanced acoustics ensured a high quality of privacy between spaces. Large supergraphics of Lisbon doubled as sound absorbers and artwork pieces, while a café style break out area encouraged dining, lounging and informal meeting.